Salli Terri - "Palestrina / Faure"
The Palestrina was recorded in 1951, and it is doubtful whether Salli was a member of the Chorale then, as... that was when she was teaching in Japan.... she joined the Chorale right after her return to the US. 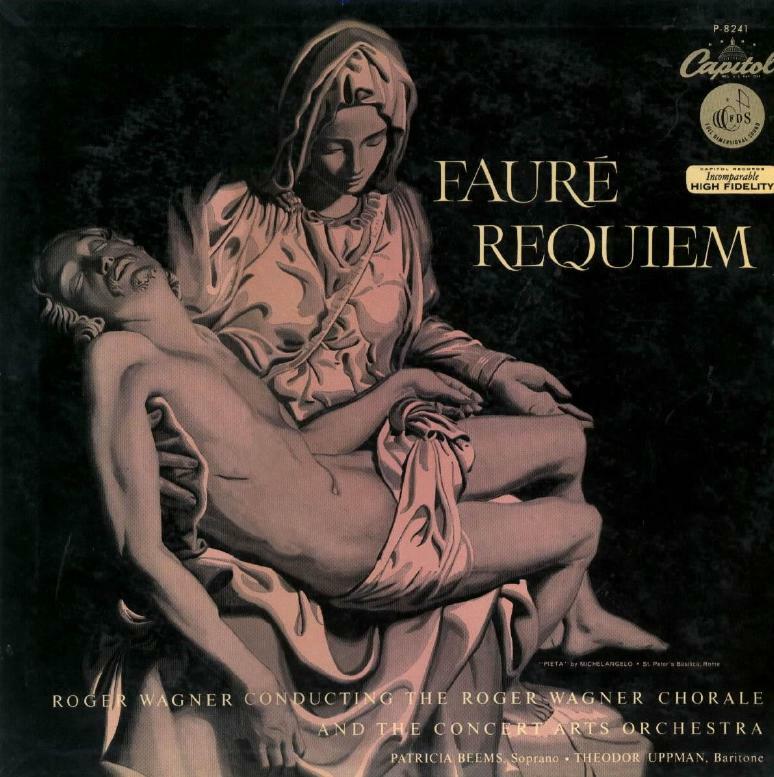 However, she was definitely part of the Chorale for the Fauré Requiem, which was produced by my father on August 23, 1953. My sister attended the recording session and remembers it vividly. Also, this CD reissue includes two very tiny photos of the Chorale: Salli is the third singer from the left in the lower photo. I believe these recordings were among the first by the Chorale.